Haku is a Japanese restaurant delivering an authentic flavor of the east in the city center. Haku is a small family restaurant owned by an extensively experienced and certified chef Shuichi Shiraishi. Japanese born chef Shuichi Shiraishi, offers his clients the traditional Japanese menu. We also offer a tasting menu, which can be pre-booked on request. Our menu offers a variety of meat, fish and vegetable dishes and traditional Japanese dishes, such as sushi, sashimi and Don road. Sake and other Japanese drinks are available to enjoy with your dinner. The interior of the restaurant has been entirely created and designed by Shuichi Shiraishi and makes any visitor feel as if they have entered Japan. 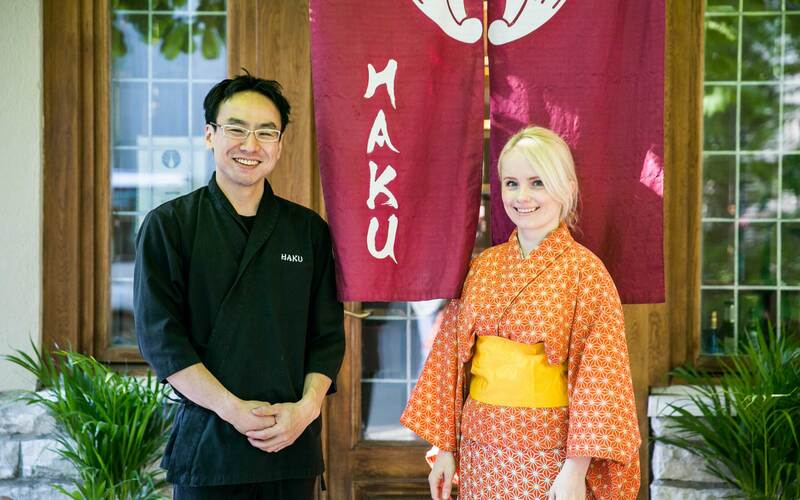 Haku is an authentic piece of Japan in the heart of Tallinn.